Subscription services are all the rage these days, and who doesn’t love to receive packages in the mail? You can get boxes of stylish clothing in just your size (StitchFix), food ready to prepare healthy meals (Hello Fresh), science experiments ready for parents and kids to build together (TinkerCrate), wine curated to your tastes (Club W), and now fabric and sewing supplies, all mailed to your doorstep each month (Note, I’m not affiliates of any of these subscription boxes, simply stating one of many examples in each case). 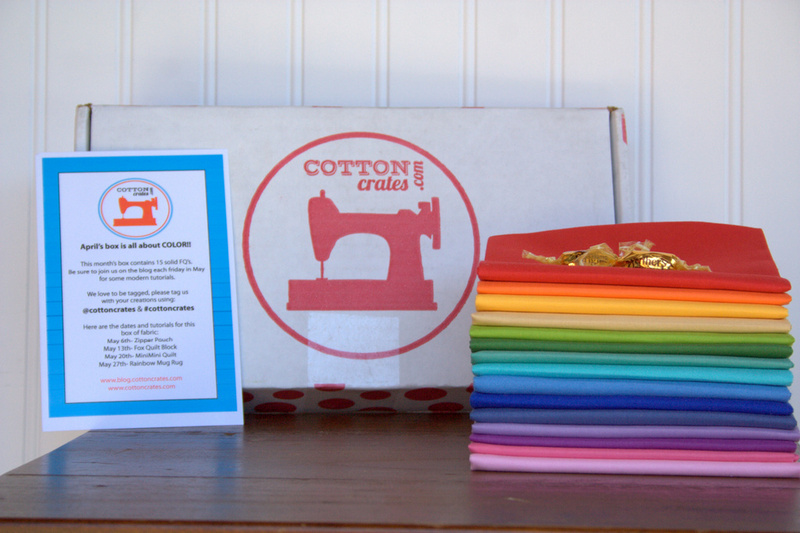 In the recent months, I’ve seen more and more fabric and sewing notions subscription boxes arise, so when Cotton Crates contacted me asking if I was interested in trying out a box in exchange for writing an honest review on my blog, I was intrigued. When they mentioned that the month’s box would contain 15 fat quarters of bright Riley Blake solids, I was sold. Full disclosure: Cotton Crates provided compensation in the form of product, a subscription box with fabric. All opinions expressed are my own. My excitement and heart eyes are also my own. 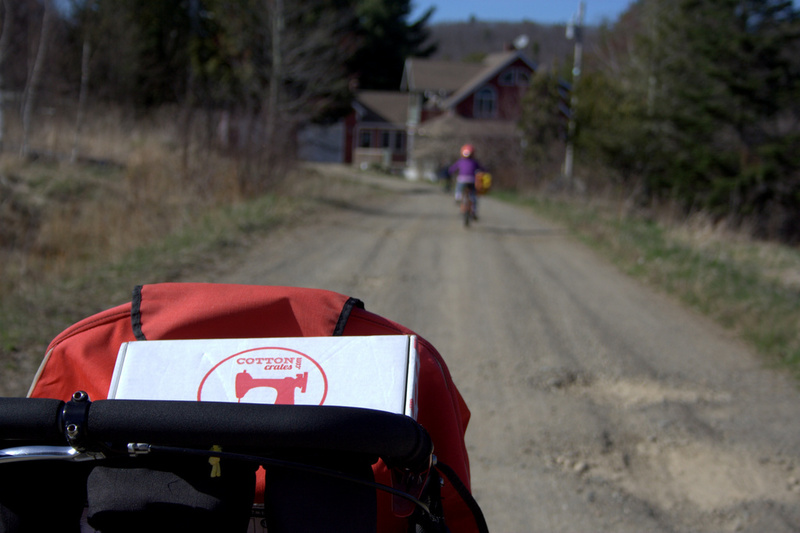 During the walk back to the house along our driveway, I was excitedly anticipating what I might see inside the box. Sure, I knew pretty specifically what it would contain, but still that excitement was there–specifically what colors would be included? What would it look like? Cotton Crates gives clues on social media (Instagram | Facebook) during the month to give you an idea of what types of fabric are included each month, but once you order it, it’s easy to keep it a surprise. Solids are such a versatile stash builder, since projects using all solids shine, and solids can also be a great compliment to the right print. 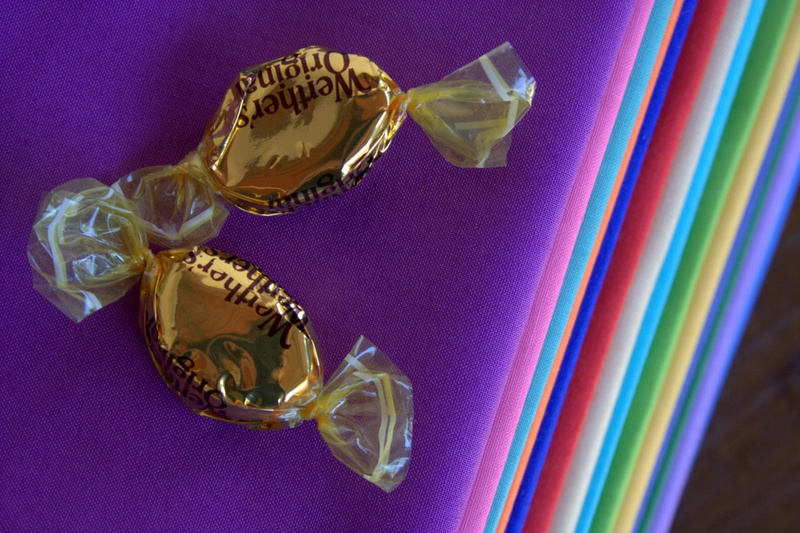 In my humble opinion, one can never have too many solids in a stash. Opening the box was like opening a present, tissue paper, sticker, candy, and all. I love that Cotton Crates includes a card with a schedule of inspiration blog posts with projects you can make using the month’s box. 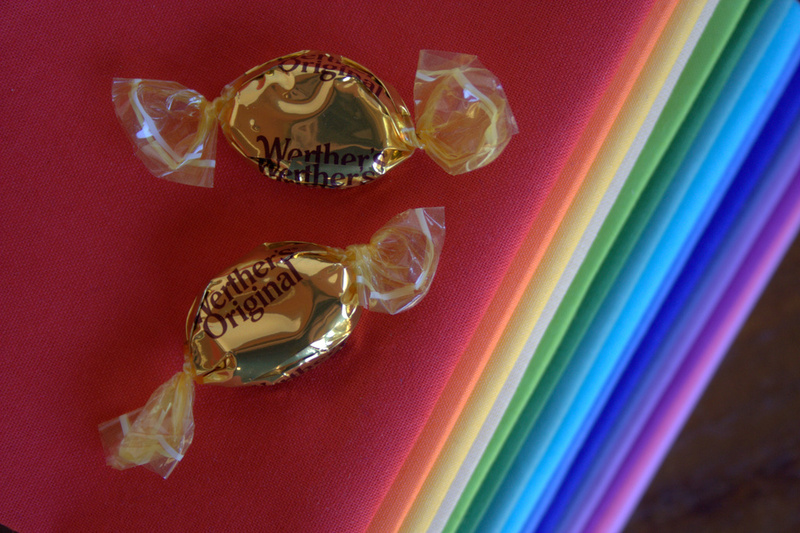 You essentially have fabric and projects all in one box, with some candies, too, unless your kids grab them first! 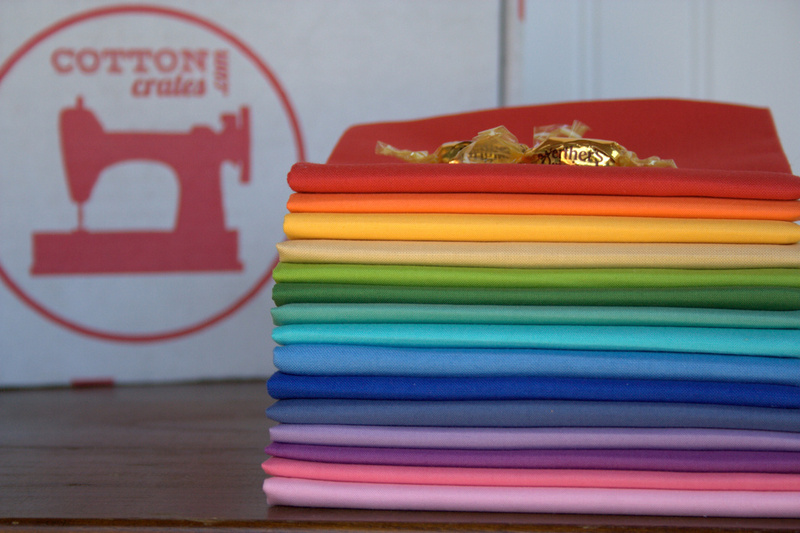 I captured the beauty of the fabrics, and then, true to my style, immediately put them into rainbow order. I do have a thing for rainbows. Now, how about some details? 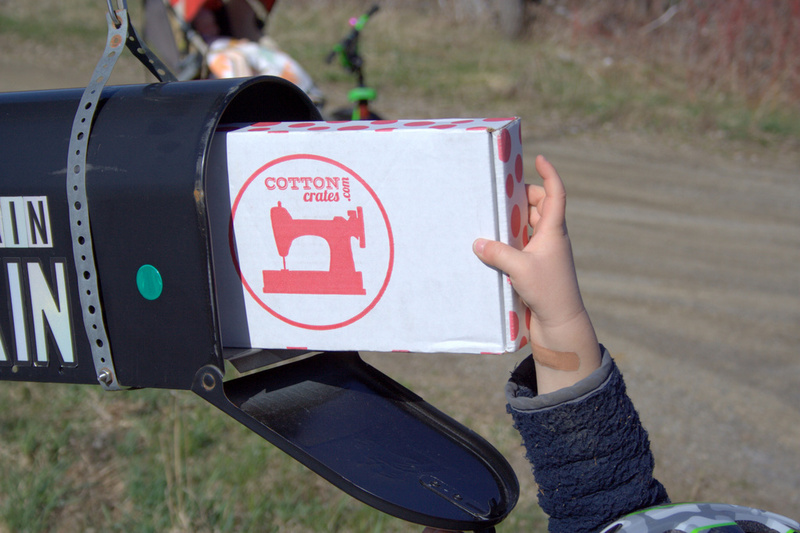 You can head over the the Cotton Crates website to read all about the subscription process, see or order previous boxes, and visit the blog for project ideas. Basically, the longer the time you subscribe, the cheaper the price you pay per box. For example, if you subscribe for one month, you pay $38 for the 12 (or in this case 15 solids) fat quarters, but if you subscribe for a full year, you only pay $34, which is a bit over $2.80 per fat quarter. 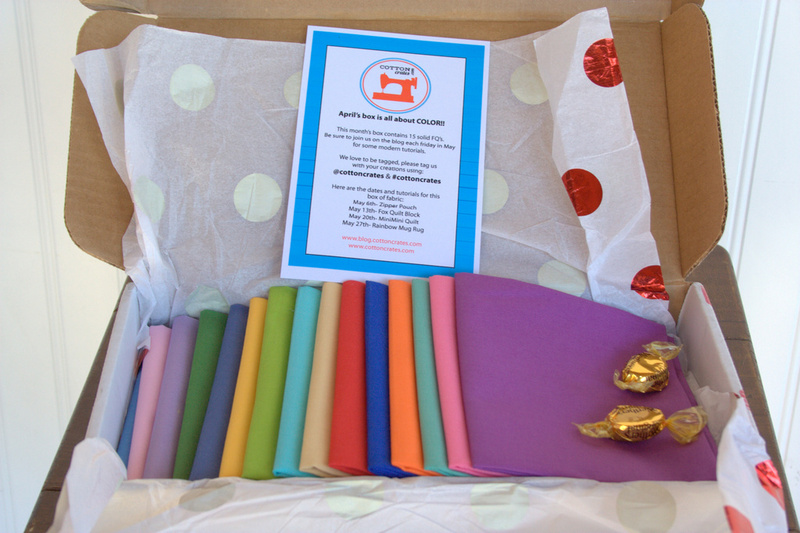 I can definitely see the fun in fabric subscription services, and it is a great option for building a stash. Many thanks to Cotton Crates for the opportunity to try out their subscription box! I’m linking up with Molli’s Sunday Stash since my solids rainbow grew in a beautiful way this week. What a difference arranging the bundle makes. I love the rainbow order (and that there was a rainbow there at all)! Solids definitely have my heart these days, and getting a bundle of them as a surprise sounds like a lot of fun. 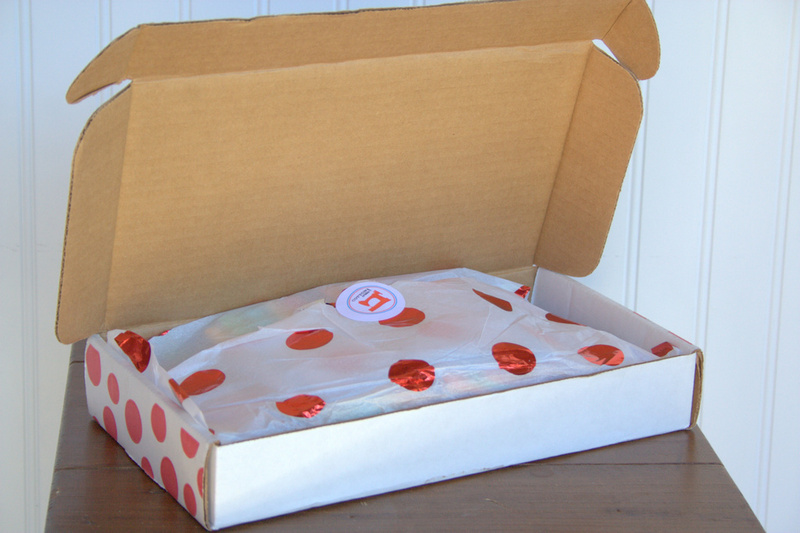 Oooh… I so wish some of these fabric subscription boxes were more reasonably priced for Canadian consumers. I would love to get one (or a year’s worth!) of these in my mailbox. Yum! If I lived in the States I would subscribe to all of the boxes, lol, they just sound so fun!